Mysore Masala Dosa is an Classic Karnataka Breakfast Recipe. Dosa's are Crisp at outside, and spongy inside, Spread with hot Red chutney as one layer & Potato filling in another layer,makes the dosa, hot & Spicy. 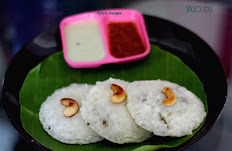 Dosa filling with Hot chutney,with a dollop of butter, when blended with mild potatoes tastes awesome.Coconut Chutney is a Perfect Accompaniment for this Dosa.when you go for Karnataka Restaurants,never miss this yummy Dosa. Prep Time : 4 hrs Soaking + 9 hrs Fermentation. Fried Gram - 1/4 cup. Onions(big) - 3, or chopped onions - 1 cup. 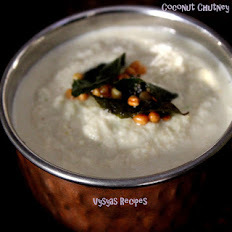 Soak Idli Rice,Raw Rice,urad dal,chana dal,Toor dal,methi seeds for 5 hrs, or overnight with needed water. just wash and add Poha, while grinding. Then Grind everything into smooth paste,with needed water & salt in a wet Grinder.Allow it to ferment for 7 - 8 hrs,or overnight.Let the consistency of batter be dosa batter consistency. Heat the kadai, add 1 tsp of oil, add Red chillies & tamarind, saute for 2 - 3 minutes.Then add shallots,Garlic, saute till shallots turns light Golden brown colour, then add Fried Gram mix well. Switch off the flame. Grind everything into a smooth Paste with needed water & salt.Now Red chutney is Ready. Cook the potatoes for 3 whistles, then remove the skin, & mash it well. Heat the oil, add mustard seeds when it splutters, add urad dal,chana dal cashews & curry leaves, saute till dals turns golden brown. Add onions, Ginger and Green chillies. Saute till onions turns slightly golden brown. 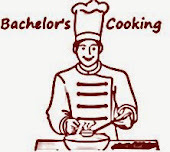 Then add 1/3 cup of water, needed salt and 1/4 tsp of turmeric.When water starts boiling add mashed potatoes, saute for few seconds till water is absorbed, and it becomes a thick curry. Garnish with fresh cilantro.Now Potato curry is Ready. Heat the tawa, spread the dosa. Drizzle some oil. When dosa is half cooked, spoon it with 1 tbsp of Red chutney.Spread the chutney over the dosa, evenly, as shown in the Picture. Finally top with 3 tbsp of Potato Masala, slightly spread the Masala, and Fold the Dosa. Don't flip the Dosa.Serve hot with Coconut Chutney or Sambar. Always use wet Grinder, for Good Results. Taste of Masala dosa depends on Red chutney.I made the Red chutney with Hot & Spicy. if you want less spiciness, reduce the no of Red chillies. Adding Ginger gives nice flavour to Masala. Make the masala, as little thick curry,than dry, for good Taste. Adding butter is optional, if you want nice crispy browning texture, add butter. 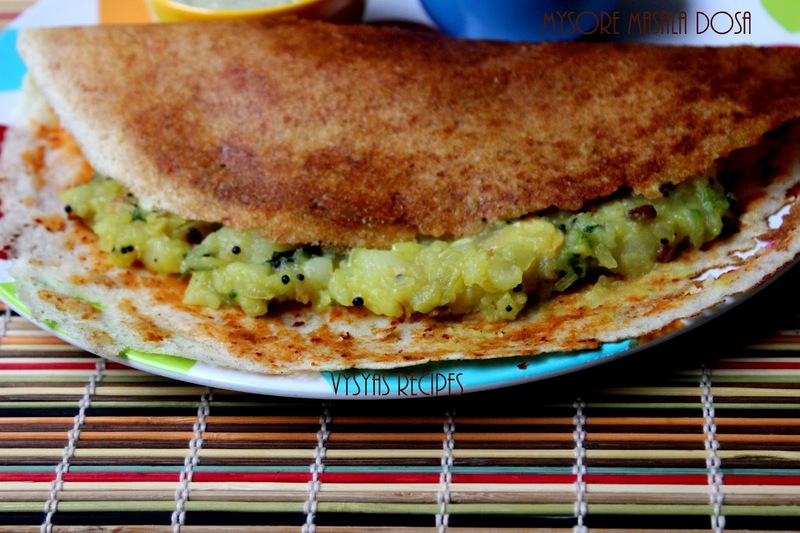 Coconut Chutney is an apt combination for this Dosa. Wow!! 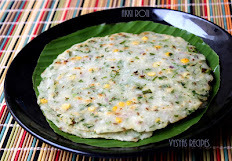 My all time fav dosa!! love the masala filling!! better than the restaurant ones!! My all time favorite and your pics are making me hungry. They look so delicious! 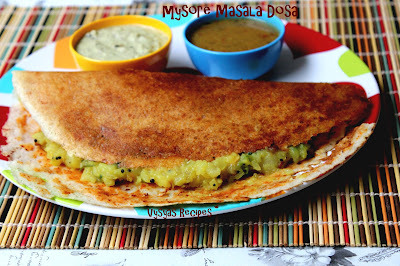 Love Mysore Masala Dosa. And yours look so classy and yum! Lovely share! 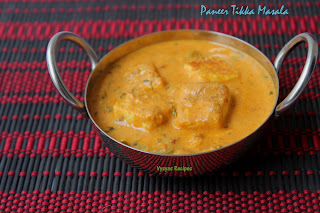 This is so good and this is always the hit at home.